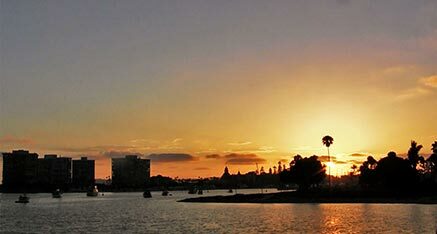 We have some fabulous sunset in San Diego. This was taken looking toward downtown. 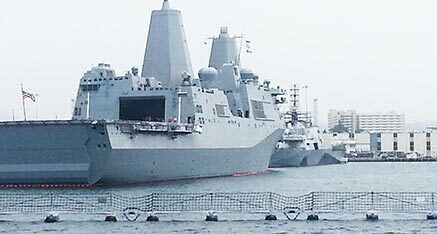 There are a huge variety of military vessels on San Diego Bay. 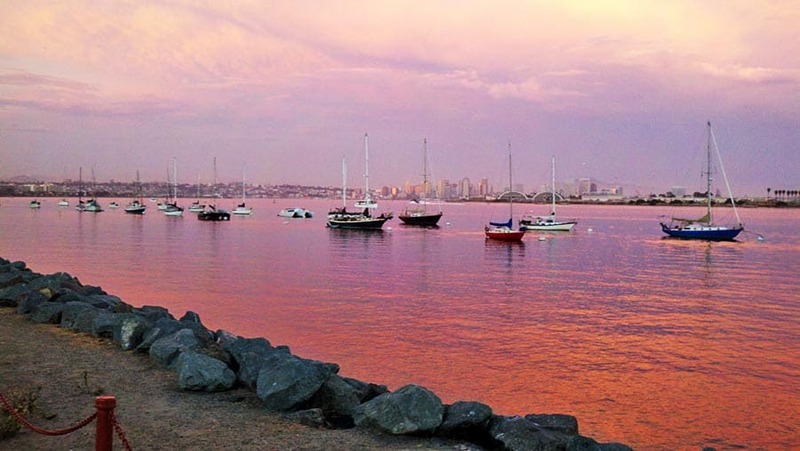 Your charter can be customized to focus on this aspect of San Diego Bay if you prefer. Hotel Del is seen in the background with zuniga jetty in the foreground. 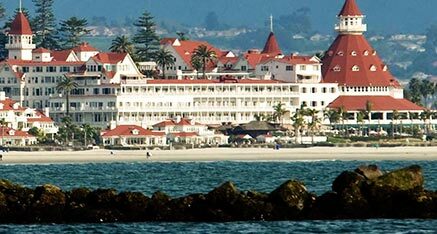 The Del is a very famous historical hotel made famous by the Hollywood stars of bygone days. Star of India sailing ship, docked at the Embarcadero, is the oldest still sailing ship in the world. 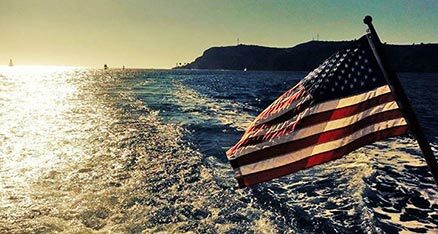 Yacht returning home with US flag in the foreground and Point Loma in the background. Sunset on the Ocean taken just off of Point Loma. 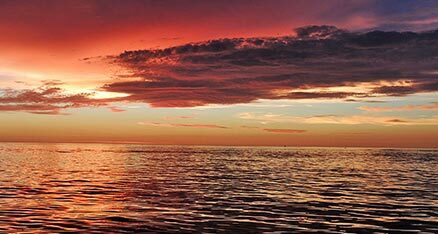 The ocean is often calm at this time of day. 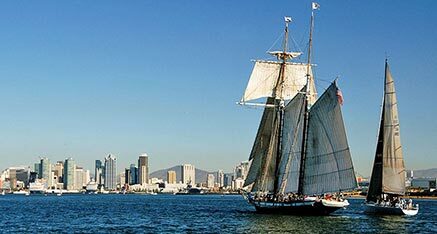 The Californian Yacht Sailing on San Diego Bay. 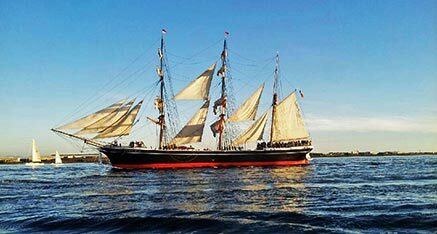 An example of schooners from days gone by. 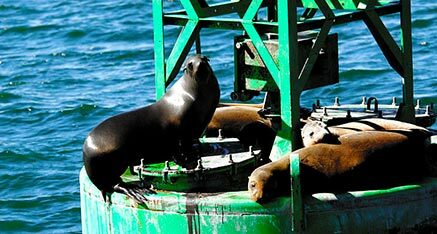 Sea Lions enjoy resting on channel markers. It gives them an opportunity to get out of the water and warm up. 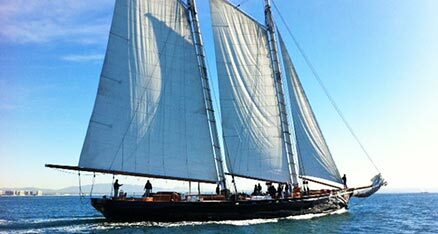 This is a replica of the famous America’s cup sailing yacht from 1851. 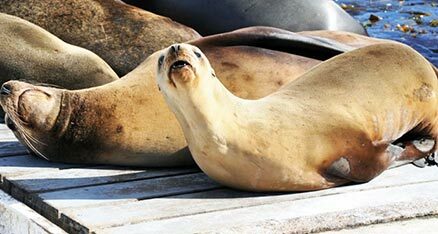 Sealions like to hang out on the San Diego Bait Barge. It gives them an opportunity to get out of the water and warm up. It also can provide them with a free meal. San Diego sea birds come in many shapes and sizes. 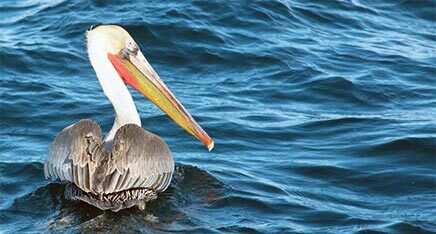 The Pelican below very common and they often fly in small groups close to the surface of the water. 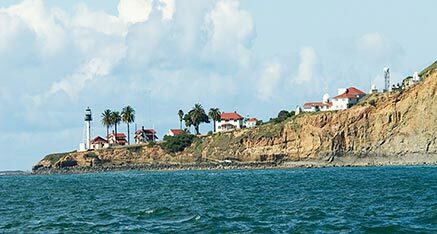 Point Loma Lighthouse at entrance to San Diego Bay. The lighthouse has a long history and we have an excellent article on our site describing it. 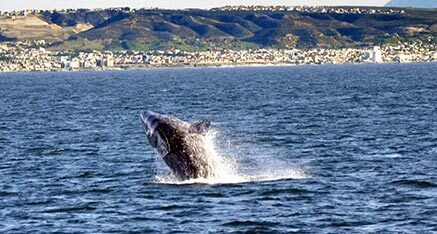 Gray Whale breaching off coast of San Diego. 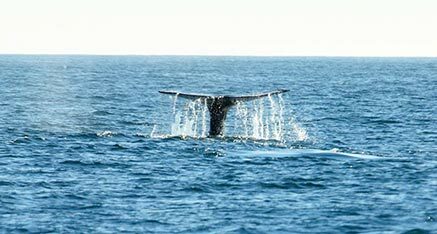 Whales are though to breach for a variety of reasons. 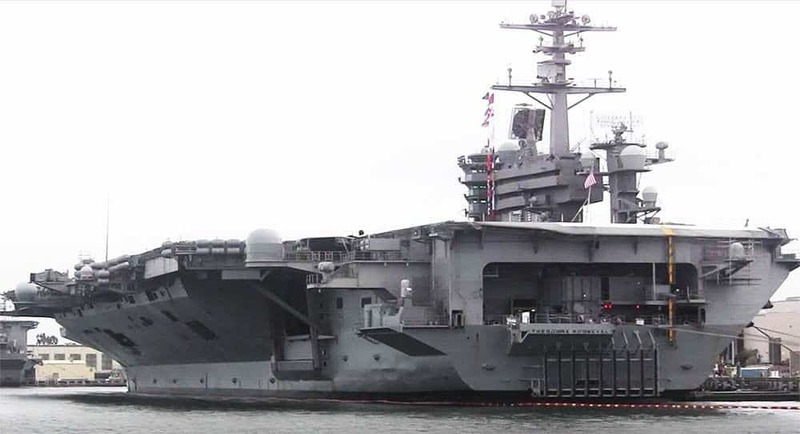 Shown is the USS Theodore Roosevelt which is currently stationed in San Diego. It is very modern and nuclear powered. 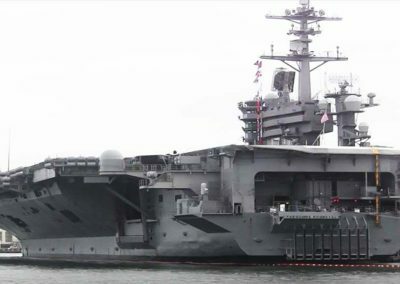 Great blog article on aircraft carriers.